Quick post to share what I had on a few days ago, before I head off to do a spot of Christmas shopping (squee!). This is Revlon Emerald City (one coat), with one coat of China Glaze Winter Holly on top, then a generous coat of Seche Vite to get that shiny smooth goodness. I ADORE China Glaze’s new micro-glitters, but they dry quite textured and I like ’em smooooth as glass. 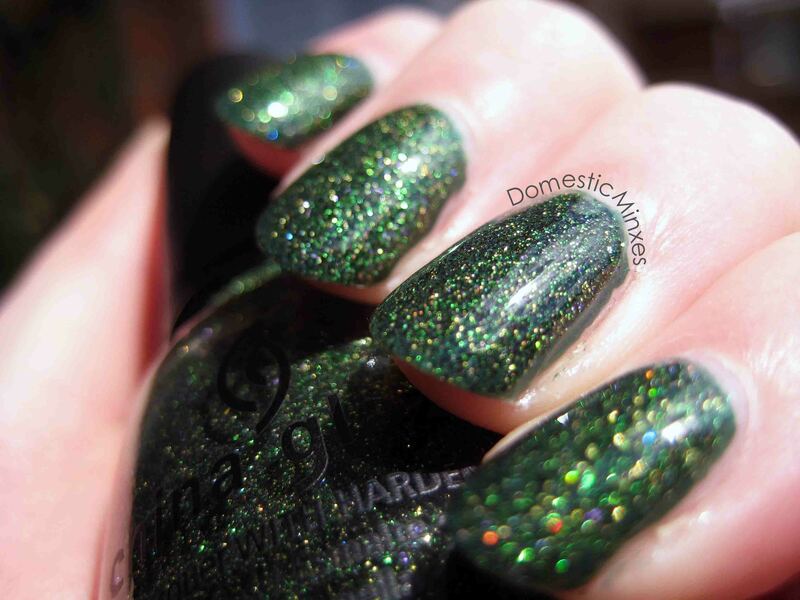 Ami has just reviewed Nail Pattern Boldness’s Glitter Food, and I think I might have to get a bottle! I’m super happy I picked up Emerald City, it is the perfect underwear for Winter Holly when I can’t be bothered doing 2 or 3 coats of glitter. It made removal a lot easier having the base as well. And they are just the perfect match! Any of you think you’ll be picking up Winter Holly (if you don’t already have it)? 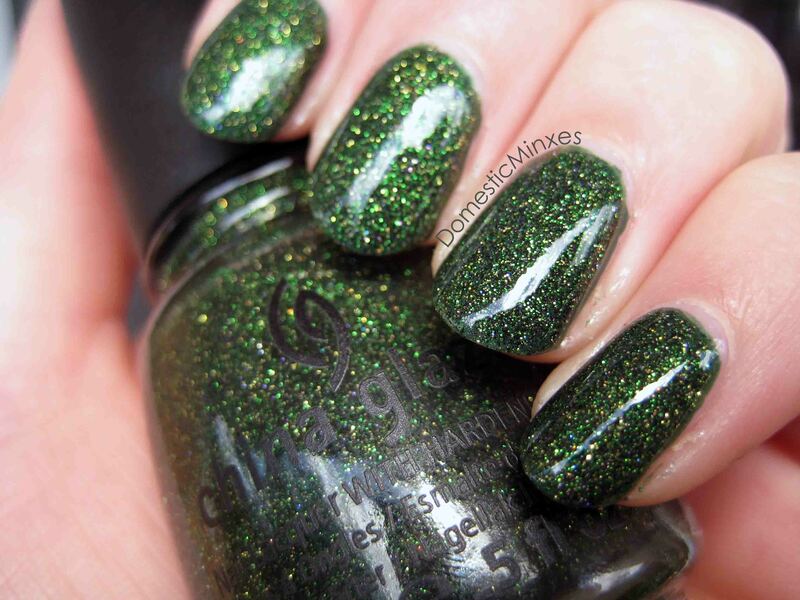 Pst… It feels funny calling this “Winter Green NotD” because we’re just getting into summer here and it’s quite warm today! Haha buy ALL the green and red polishes!!! i have this awesome cheapy red magnetic polish which is not magnetic. Was R10 ($1) and it’s such a true christmas colour!!! !